The Premier League will bring a festival of football and entertainment to Bengaluru when it hosts its international fan park in India. Premier League Live will take place at the Karnataka Trade Promotion Organisation (KTPO) on Saturday 14 and Sunday 15 October and offers up to 40,000 local fans the chance to enjoy a range of Premier League experiences. 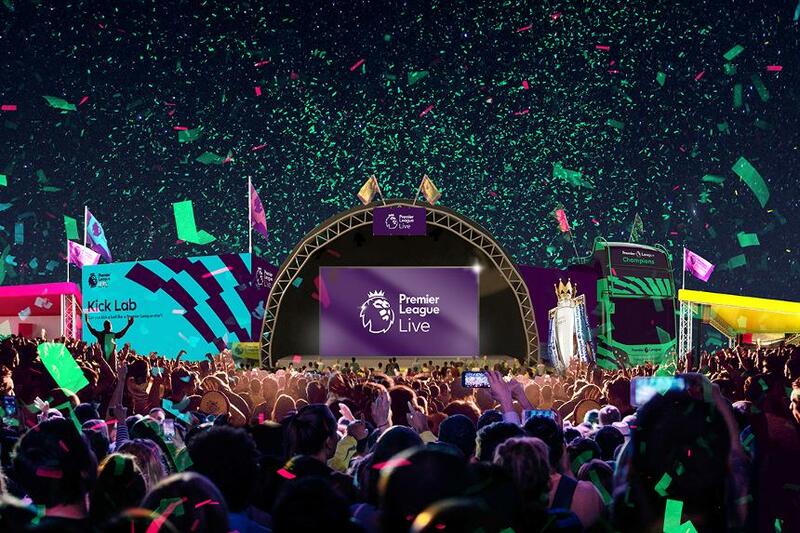 The fan park will bring the passion and excitement of the Premier League to India, with the weekend’s top matches broadcast live on a giant screen. It also features fun experiences including a Virtual Reality walk through a matchday, interactive kicking and sprinting games to see how fans compare with their favourite players, and a chance to have a photo taken with the Premier League Trophy. Premier League Live will be supported by official broadcaster Star Sports and Premier League partners Nike and Topps. At this free-to-attend event, fans will get the chance to meet some of the League’s former stars, including Premier League Champion and all-time top scorer Alan Shearer, and enjoy live music from top local artists and DJs. "I have seen first-hand the enthusiasm for football in India and Premier League Live will undoubtedly give local fans the chance to share their passion together," Shearer said. "The event will bring the brilliant atmosphere of the Premier League for all to enjoy and I am looking forward to returning to India and meeting fans in Bengaluru." Fans should pre-register for the Premier League Live Bengaluru at premierleague.com/pl-live and admission on the day will be on a first-come, first-served basis. "Premier League clubs have a hugely passionate and knowledgeable fan base in India and we look forward to bringing Premier League Live to Bengaluru – our second fan park in India," Premier League Managing Director Richard Masters said. Premier League Live is part of the League’s ongoing commitment to fans in India, and to the development of the football in the country. Ahead of the event taking place in Bengaluru, the PL will run a Premier Skills coaching course to train local football coaches. Working with the British Council, the Sports Authority of India (SAI) and the Indian Super League (ISL) the Premier League has led numerous Premier Skills projects in India since the programme’s inception in 2017 and has trained more than 1,000 local coaches and referees while reaching more than 78,000 young people in the country.